Apparently painted in Suffolk, just prior to Gainsborough’s move to Bath in 1760. Gainsborough painted a half length of his wife at much the same time (Gemäldegalerie, Berlin; 2200),  but they face the same way and do not appear to be pendants. 1) E. K. Waterhouse, Gainsborough, 1958, no.297; exhibited Gainsborough’s Family, Sudbury, 1988, no.14. T. Borenius, Northwick Catalogue, 1921, no.284. J. Hayes ed., Gainsborough Letters, 2001, p 175. J. Kerslake, Connoisseur, CLXI, 1966, pp 160-61. E. K. Waterhouse, ‘Preliminary Check List of Portraits by Thomas Gainsborough’, Wal. Soc., XXXIII, 1953, p 45. E. K. Waterhouse, Gainsborough, 1958, no.291. 1 Comment by Aileen Ribeiro on file. Mrs Sophia Lane (the artist’s niece); her son Richard Lane; his sale, Christie’s, 26 February 1831, lot 51, bought in; bought from Dunsford by 2nd Baron Northwick 1832; by descent at Northwick Park to Capt. E. G. Spencer Churchill; purchased from the Spencer Churchill Estate by the Government through the Land Fund and allocated to the NPG 1965. Pictures lent by owners resident in the Country, Gloucester, 1934 (21); Gainsborough, 45 Park Lane, London, 1936 (4); Gainsborough, Tate Gallery, 1953 (16); Sudbury's Heritage, Sudbury; 1975; Gainsborough's Family, Sudbury, 1988 (12); The Harvest Waggon, Birmingham, 1995 (4); Gainsborough, Ferrara, 1998 (7); Gainsborough, Tate Gallery, Washington, Boston, Mass., 2002-03 (26). 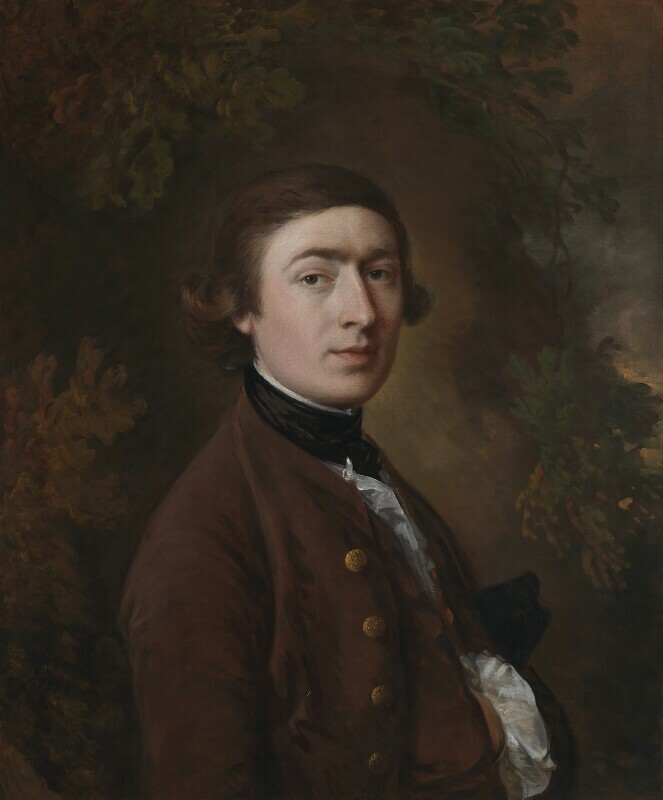 This extended catalogue entry is from the out-of-print National Portrait Gallery collection catalogue: John Ingamells, National Portrait Gallery: Mid-Georgian Portraits 1760-1790, National Portrait Gallery, 2004, and is as published then. For the most up-to-date details on individual Collection works, we recommend reading the information provided in the Search the Collection results on this website in parallel with this text.